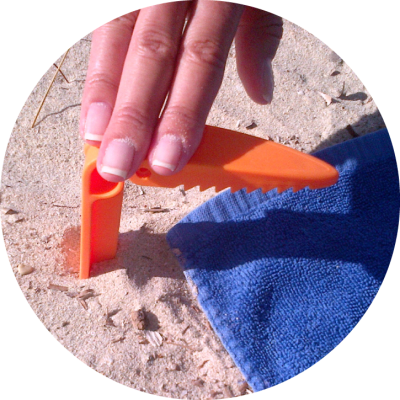 Introducing the funky simple new way to keep that beach towel in place! 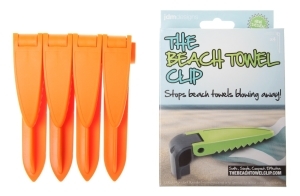 This ingenious clip comes in a handy set of four and when snapped apart is simply pushed into the sand to hold down the four corners of your towel! 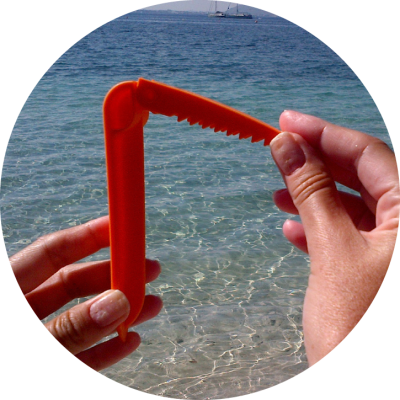 You are now just a few clicks away from stress free days not having to chase your towel down the beach! 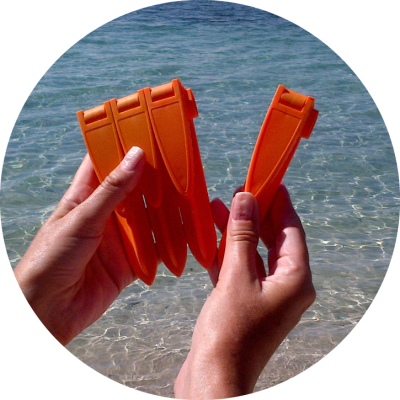 The clips are manufactured in the UK using injection moulded polypropylene in 3 summer shades. The clips cost £9.99/set of four plus postage and packaging. 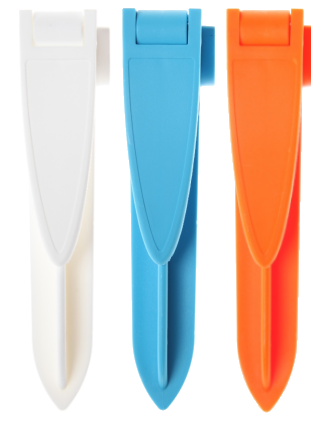 Choose now from either ORANGE, AQUA BLUE or WHITE. Boxed in handy sets of four (one for each corner) the clips measure approximately 135mm x 100mm when open. This shop page delivers worldwide direct from our UK warehouse. We are more than happy to discuss terms for bulk orders/larger quantities with new stockists so please get in touch through our contact page.